Download Manager is a tremendously useful service when you come across difficulties while downloading files from one-click hosters. One-click hosting, one-click hosters or cyberlockers are websites which enable users to upload and download files free of charge. These services are extremely popular because they can host some truly huge files from a few hundred MBs (for free users) to many GBs (for paid users). They are also easier to download with only one web browser. However, when you are a free user, your downloading experience may be frustrating because of slow speed, not getting resume support, download delays, limited features and ads with false download buttons to add to the irritation. In such a case, a download manager for one click hosters like share-online.biz or uploaded.net is like a godsend. Here are five of the best download managers. 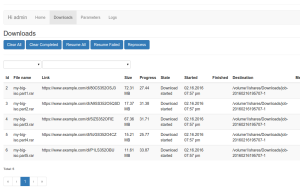 Tartana is an advanced download manager for your files. This is an open source PHP app which enables you to download on any PHP capable device. It features link decryption and also important content formats such as rsdf or dlc as well as automatic file extraction. Installing Tartana is super easy. You can run Tartana in a simple low resource environment and get premium account support for one-click hosters. You can run it in multiple modes including command line, your existing web server or a standalone server. 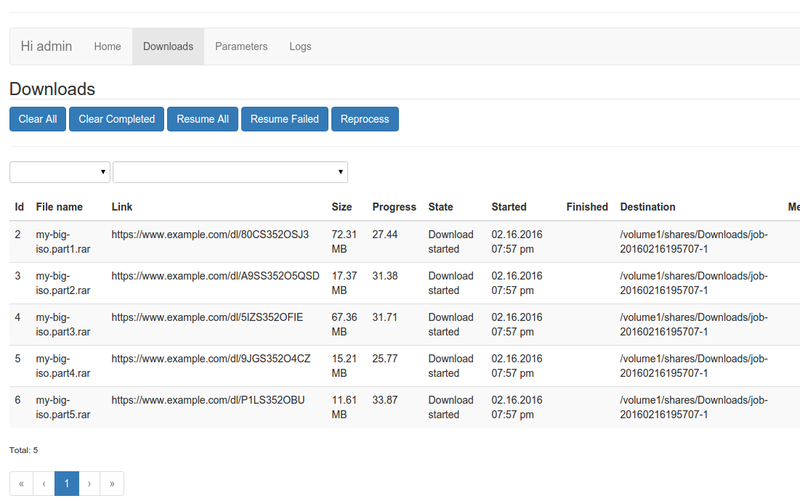 This is an impressive java-based download manager that automates downloading from one-click hosters. This too has its own decrypter modules that decode encrypted links and download the real URL. You can get a free or premium account. JDownloader can skip some weak captchas, reconnect automatically to obtain a new IP address to download the next part instead of waiting and offer many other features. Mipony supports downloading from one-click hosters (with free and premium accounts), direct URLs and also a multihost downloader, like Zevera, Real Debrid, All Derid, MultiDown and LinkSnappy. Mipony has multiple features to help you in automating downloading like link detection, clipboard capture, plugin support for third party automated captcha-solving services, and more. This is free and exists since 2007. It has actually plenty of potential because it contains every useful and successful feature, like container support, Clipboard monitoring, proxy, auto extraction with list of passwords, and more, even a macro recorder to playback automatically the recorded user actions according to the events. FreeRapid Downloader operates on Java and supports over 500 hosts. It has less memory usage and that associates to the listed features. It doesn’t feature auto reconnect but focuses on using a proxy list for downloading as with a free account with no delay. Normal features like captcha recognition with the help of GOCR, auto shutdown, container support, clipboard monitoring and automatic updates are available. So, make use of these fantastic download managers and make your downloading experience pleasant and fun.